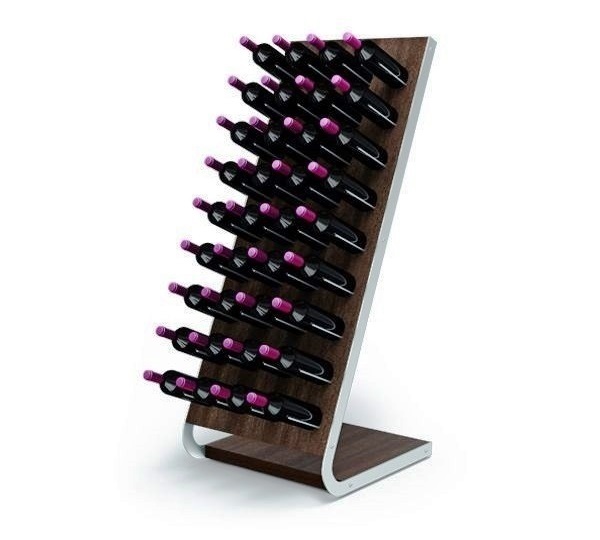 Esigo 4 Tech, this wooden wine rack has enhanced the Esigo 4 range with its own unique features: neat shapes, essential structure, simply unique and functional. This wine rack has a modern design, ideal for all your special occasions, and is even fitted with 4 wheels making it exceptionally easy to handle. When positioned in strategic areas, it becomes a fundamental high-impact communication point when furnishing wine bars, wine shops, wineries tasting rooms and retail shops.